Greetings everyone! I am excited to hear from all of you about how this first set of readings resonates and rumbles with you. First off…don’t feel overwhelmed by 1. Sylvia Wynter’s brilliance. This is the most dense article we’ll be reading together…but it’s so packed with brilliance that I’ll be referring to it all fall/winter long. or 2. by me! I am going to pose about a million questions below but feel free only to address the one or two that speak to you the most when you respond (also feel free to address any question that comes up for you as you read…whether or not I’ve mentioned it.) These posts are just my way of helping to start the conversation. Feel free to post by Friday 9/14 in the comment section here or via the email list or on your own blog (or all three). If you are only posting on your own blog please send a note and a link to the email list when you’ve posted. I should be up front about the fact that I am prioritizing the Sylvia Wynter essay because, while DuBois is equally foundational, Wynter’s work is not read as often. 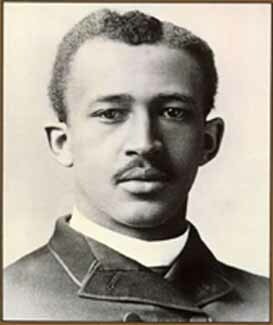 (Plus I have a huge level of excitement about brilliant black women from the Caribbean who are ALIVE!-Wynter is a distinguished professor at Stanford, maybe Kameelah will visit her office hours and tell her about us 🙂 So that is to say PLEASE READ THE WYNTER FIRST (even though DuBois obviously wrote his about 73 years earlier). To give you some background on the Wynter essay: She first presented this essay as a talk at a 1976 conference on Ethnopoetics. In fact it was the first conference on Ethnopoetics, though I don’t know whether the series continued. As you will see Wynter was openly critical of the conference’s mission to “return to the primitive”, but the editors of the journal Alcheringa may not have been so critical (judging from the vague statue that appears on the cover with no explanation). This “First Conference on Ethnopoetics” was also the first place where Martiniquean theorist Edouard Glissant presented his most famous essay “Free and Forced Poetics” (also sometimes translated as “Natural and Forced Poetics”). Another speaker at this conference was Frederic Jameson, noted Marxist theorist, Durham resident and Duke University Professor of Literature. I see it as a testament to Wynter’s effect on her audience that Jameson’s paper title is a direct quote from Wynter’s paper AND that the function of his talk seemed to have been to underline the second-to-last paragraph of Wynter’s. When in the presences of greatness…smart people nod their heads. 1. To define the term “ethnos”. As Wynter will explain the term “ethnos” has moved from defining “us” to designating an “other” that makes “us” possible. Wynter is interested in whether we can find a way of defining community WITHOUT depending on exclusion. Is there an “us” with out a “them”? If so…for Wynter this would be the true “ethnos”. So let’s see. I’m interested in what you all think about this question. After reading the piece think about these things in the context of your own life/work. Do you find it effective to define community against something that is recognizably NOT your community? Can you think of any examples of community or connection that you have experienced that don’t require exclusion? Wynter suggests that jazz is an example of black people creating an “us” that doesn’t require a “them”. Do you agree? How does art or a creative process change our relationships to community? 2. The second thing that Wynter is concerned with defining is “poetics”. For Wynter every truly creative process is a “poetic” process. She is not limiting her definition to words or rhyming or anything like that. Wynter is asking us to imagine a poetic process that allows people to create and articulate their relationships to their environments. She is asking for this in order to replace what she sees as the “cultural racism” which she believes is “organic to western capitalism” in which people are defined as man or subhuman based on their relationships to objects (most importantly guns…in the colonial moment). Do we agree with this definition of “poetics”? Does a creative process allow us to CREATE our relationships to each other instead of CONSUMING them? What are we creating anyway. My dad says that he thinks about what Wynter is calling a “poetic” approach as a “purposeful” approach…an approach that acknowledges a divine purpose in each individual life. How do you think about this? Do you have other names for what Wynter is calling the “poetic”? Now on to DuBois. The major idea that DuBois launches in the section of Souls that we will be reading together (though I recommend reading the rest of the book someday) is “double consciousness” a constant “two-ness” that characterizes the difficulty black people face in the United States. He also laments the dilemma of the educated black person in the United States who is constantly “between” the black majority which in his time (and I would add to this day) has been denied access to validated forms of education and the dominant culture. This dilemma seems especially poignant to me…because DuBois is actually writing this text FROM the position he describes. Does DuBois’s choice to use poetry and music to frame each of his chapters have an effect of the potential of his text? Finally…what do you think Sylvia Wynter would have to say about this section of DuBois’s text? Does DuBois’s idea of “between-ness”challenge the heirarchy (animal-savage/black -man) that Wynter points out…or does it reproduce it? Wynter points out that within western culture large sections of the mind and spirit are trapped “on reservations”, making the point that the oppression inflicted on indigenous people costs everyone their soul. (Though on the other hand issues of Essence magazine around the time period when Wynter gave her talk suggested that surest way to lose your soul was to lapse your subscription to the magazine. Which was full of ads for hair-taming products…but I digress.) What about DuBois’s soul? Do we sense that he had to put it on lock-down to address his audience…or did he perform a liberatory feat that allows us to have this conversation right now? I don’t know if I really answered anything…but I hope so! Here’s my attempt. Hi! My response is at biolog.wordpress.com. I’m going to combine my intro post with my response to the 1st readings post since i was terribly slack and didn’t get that done. intro- i’m tanya, i live in durham, teach english at vance-granville community college in oxford, i’m a poet, and do some arts planning stuff here as well. i’m looking forward to the readings and seeing what folks have to say because i’m getting ready to teach a couple of on-line classes next semester and want to get tuned up for that, i’m interested in the idea of generally being a problem, and i’m intrigued by academic/pedagogical change, recently the ideas of dismantling departments, restructuring archives, and empowering subjugated knowledges. i’m doing a faculty reading group concerning these topics with judith halberstam who is at duke on and off this year and i’m very excited about the dialogue between these 2 groups. 1st response- wynter/dubois- a couple of things stood out to me from the wynter piece that relate to the questions above. i loved her idea that the purpose of the conference was not “to recover” these works or this voice but “to begin to validate” (86). that seems a basci statement of what has to happen in academic and activist communities. not just to find the lost voices or people or works, but to also identify, respect and respond to what they have to offer. in my copy of sobf, john edgar wideman writes the intro and talks about dubois sense that there didn’t need to be an invention of answers to these problems, but that the solutions were already there. this seems so true to me- we struggle to find an “answer” to a problem (troops in iraq, how to restructure the academy, etc.) but we never simply ask for the solutions that may already exist. we don’t ask soldiers or iraqis or students what they would envision as empowering or success or educational, maybe because we don’t believe they know, maybe because we wouldn’t like the answers. i was much more skeptical about wynter’s claims that poetry/art was the only site heretical knowledge is expressed. that either seems like a huge definition of art or a little short sighted. i also wondered about her idea that one idea completely replaces another- detotalization to retotalization. (81) one thing we read with halberstam was “society must be defended” by foucault, in which he argues war is a constant state- no force ever completely conquers/replaces another and all these forces stay in struggle. wynter’s argument seems much less empowering-if one forces does completely displace another, then what is the purpose in reidentifying and empowering these other voices? that’s a lot and i’m looking forward to reading other folks stuff and the rest of our readings/listenings this semester. Sorry this is late everyone, I had a family emergency which is still unsolved, but writing this kept me momentarily distracted. I really drew myself into the readings, so I apologize if it is a bit disjointed–but take from it what you can and shoot me questions. and I emailed it out. @ Tanya, I had a similar question “wynter’s argument seems much less empowering-if one forces does completely displace another, then what is the purpose in reidentifying and empowering these other voices?” I wondered if I just misread and now I see I am not the only one with the question. My response ended up just being a lot of questions because sometimes I think questions are where I am right now and answers seem dangerous because they are sometimes prematurely celebratory. I find Wynter’s stance here empowering, but also somewhat confusing because she seems at times to be validating Columbus and the other explorers of that era by insisting that we enact another enlightenment…. looking forward to more discussion. now, i can’t wait to read all of your responses. that def. makes sense. prof. lex, any thoughts on my post?